The SEMA Action Network (SAN) announced that the next Collector Car Appreciation Day (CCAD) will be celebrated on July 12, 2019. The date will mark the tenth consecutive commemoration in what is now an annual event to raise awareness of the vital role automotive restoration and collection plays in American society. A brief recap of the 2018 festivities is highlighted in the current issue of Driving Force. Also, be sure to check out the full photo gallery. The images sent in by this year’s event hosts are greatly appreciated. Intended to celebrate the classics of the past and the future, the U.S. Congress helped launch CCAD by passing resolutions each year since 2010 at the SAN’s request. 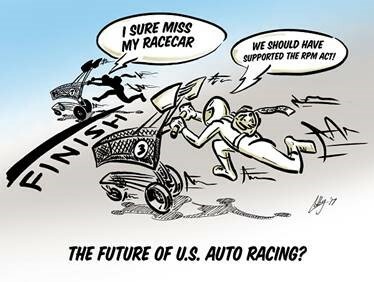 The previous resolutions were sponsored by co-chairs of the SEMA-supported Congressional Automotive Performance and Motorsports Caucus. As shown here, the SEMA-supported Collector Car Appreciation Day (CCAD) is among a number of automotive-related functions supported by the Inland Empire Late Great Chevy Club (LGCC). Their CCAD cruise took place this year on July 13, 2018 in the group’s home of Spokane, Washington. Founded in 1991, the Inland Empire Late Great Chevy Club (LGCC) brings the automotive community together in eastern Washington state. While originally established with a focus on ’55 – ’72 Chevrolets, the club’s scope has been broadened to include non-Bowtie offerings as well as flexibility with model years. As with most groups of its kind, the vehicles are just one element—lasting friendships between members, social activities and charitable contributions are equally as important. 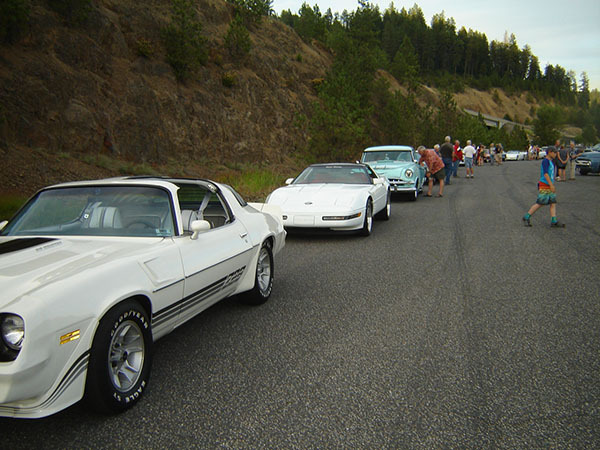 For a third consecutive time, the LGCC conducted a cruise in Spokane to commemorate Collector Car Appreciation Day (CCAD) this past July. The group recognizes the significance of having the U.S. Congress’s involvement, who helps launch this annual event to honor the collector car hobby. The club hopes vehicle owners will continue participating in the cruise with their cars each year to help promote the hobby and recognition of it locally. Despite such positive intentions, attracting a following to grow the LGCC’s cruise has not been easy. “We’ve been struggling over last three years to get CCAD really going,” explained club president Dennis Morford. He believes that networking with like-minded organizations nearby may provide a solution. “We’re hoping that the Inland Northwest Car Club Council (I.N.C.C.C.) will get on board this year. Our hobby is thriving but filled with older people—this is a day to celebrate the entire community of enthusiasts and attract more of the younger crowd!” Surely, setting up a social media account like the club’s Facebook page is a step in the right direction. Way to show your dedication to ongoing four-wheeled goodness in the Evergreen State, LGCC! Wishing you the best of luck in conquering all obstacles along the journey.